Lizz and I have know each other since high school, but we hadn't been in touch much since graduation. Last year, shortly after I decided to give Facebook another chance after my nearly 4 year hiatus, Lizz contacted me to inquire about my photography. She wanted some fall family photos for her Christmas cards and she enjoyed my photography, even if it was mostly photos of my boys at that point. 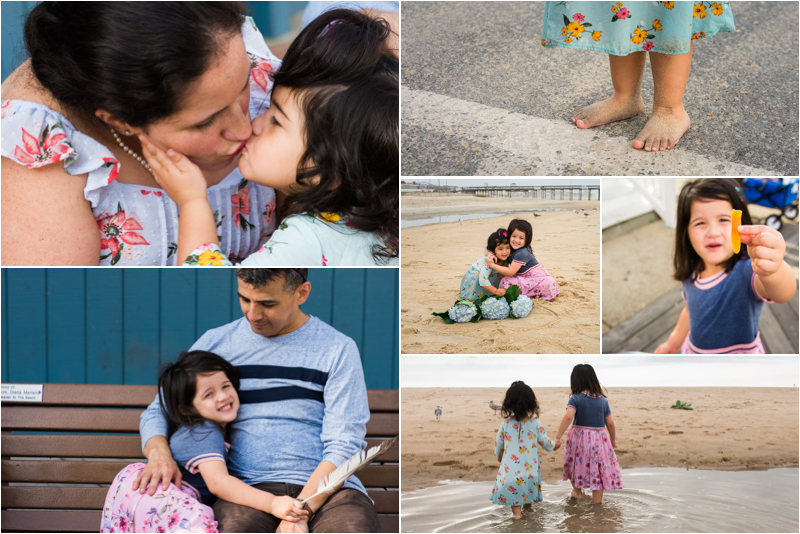 I had a blast photographing Lizz, Richard, Bella and Natalie at the Naval Academy last fall and could only hope and pray that they enjoyed it as much as I did and would decide to have photos done with me again this year. 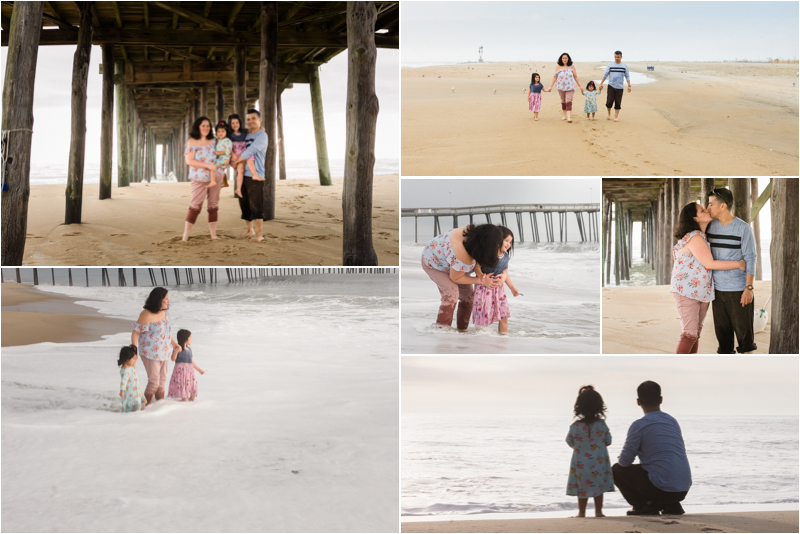 Fast forward to this summer, and Lizz and I start talking about doing their family photos on the beach this year. When Lizz's mother passed away, her children spread her ashes on the beach in Ocean City and dedicated a bench in her memory. Ocean City, Maryland was Lizz’s mom, Cindi's, favorite place to be, her little piece of heaven here on earth. Whenever Lizz visits her mother’s spot on the beach, she brings her hydrangeas. I was honored to be invited, not just to share in these moments, but to document them. When I thanked Lizz for letting me capture something so special and personal to her and her family, she said that she wouldn’t have chosen anyone else and that truly made my heart feel full. The girls had a blast, complete with a wipeout in the ocean, sandy feet and gummy worm bribes, and Lizz's mom was certainly smiling down on us, on this perfectly warm, sunny morning in October. I feel beyond fortunate that Lizz and I have reconnected through my photography. Though we don’t get to see each other much outside of sessions, we have connected over so much more throughout the past year. Lizz is so open and honest about her experiences, which makes it easy to connect and share my own. We've talked about anxiety, parenting and just life itself over the past year. Thank you, Lizz, for being one of my first clients, an incredible human being and a good friend. Anyone who knows you can count that as one of life's blessings.